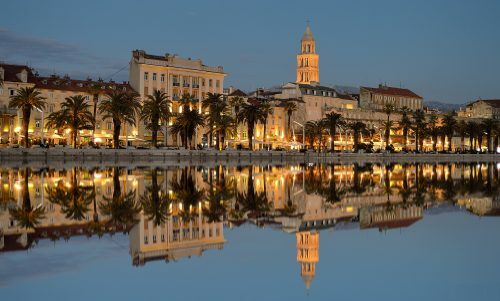 Summer schools are special programmes organized by the University of Split for the purpose of education, recreation and vacation in Split. The aim of the summer school is to provide students and young professionals from different countries to gain experience of a multicultural and interdisciplinary learning through one of seven programs and the possibility of establishing cooperation with other participants and lecturers. Learning is based on practical examples, visits to companies, and all that with interesting lectures of domestic and foreign lecturers. Interesting courses, workshops, panel discussions on various topics are going to be a part of the summer school. By getting to know students from all over the world, you can always make new friends. Brush up your skills in the fields of your interest, build up your knowledge and provide yourself the experience of studying\learning in one of the best universities in Europe, with accommodation, food and best programmes guaranteed. The Split Summer School will take place in the summer period, and for each programme/course specific dates will be defined as well as the cost. Courses will be held in English, exception is possible only if all the enrolled participants in the specific programme are Croatian language speakers. Estimated time spent on learning outcomes of the Summer School programme is 60 hours or 2 ECTS points. The student’s residence hall and hostel “Dr. Franjo Tuđman” has over 300 rooms. 6 rooms are equipped for disabled persons.Rooms are double bedrooms (278) and single bedrooms (55), each with its own bathroom. There are 3 kitchens and 10 classrooms intended for learning and socializing. 2 outdoor sport courts and 1 indoor court as well as 1 excellently equipped fitness gym oﬀer every guest a possibility of quality recreation.In the same building you can find a charming café “Tinel”, perfect for moments of break, and a self-service restaurant with two self- service lines and a pastry shop. In front of the building there is a large parking space.For the practical necessities, a bank and a mini market are located in the vicinity of the building.The hostel is a perfect place for organizing conferences, seminars and various banquets.Due to the proximity of the town centre and quality of its services, the hostel “Dr. Franjo Tuđman” ﬁts right into the tourist map of the region. Studenti PMF-a oslobođeni su plaćanja ljetnih škola, ukoliko je ostalo slobodnih mjesta nakon završenog roka za prijave.